General Motors came under harsh criticism on Capitol Hill Tuesday as CEO Mary Barra went before members of Congress investigating a botched GM recall. Barra, appearing before a House committee, apologized for the 13 deaths that GM says were caused by a faulty ignition switch, as well as GM's 10-year delay in issuing a recall. That February recall has grown to 2.6 million vehicles worldwide. "Today's GM will do the right thing," said Barra, who was named CEO in January. "That begins with my sincere apologies to everyone who has been affected by this recall, especially the families and friends (of those) who lost their lives or were injured. I am deeply sorry." Members from both sides of the aisle attacked both GM and the National Highway Traffic Safety Administration, the federal safety regulator. "The red flags were there for GM and NHTSA to take action, but for some reason it didn't happen," said Tim Murphy, a Republican. "To borrow a phrase, what we have here is a failure to communicate, and the results were deadly." GM's decision not to recall earlier: Democrat Diana DeGette said that GM elected not to replace a part that would have cost 57 cents a car because of cost and the lack of "an acceptable business case" for doing so. "The company continued to sell cars knowing they were unsafe," DeGette said. "We're going to get to the bottom of this." Barra said the statements in GM documents from 2005 showing that GM decided it was too expensive to implement a fix were "very disturbing." "If that's the reason the decision was made, that is not acceptable," she said. "That is not the way we do business today." Who at GM knew what and when: Barra admitted the company had been operating under a "cost culture" in the days before the 2009 bankruptcy, but said today it is operating under a "customer culture." When asked about when GM knew of problems and why decisions were made, she repeatedly said she did not know the answer. "That's why we are doing a full and complete investigation," she said. Barra said it was her understanding that at times different parts of the company did not share information. To fix that, she said GM has hired Jeff Boyers to fill a newly created position, the vice president of global vehicle safety. All safety information will be reported to him, Barra said. Why a substandard part was used: Many questions fired at Barra focused on the faulty ignition switch that GM installed in cars despite knowing it did not meet its own company specifications. Barra explained that just because the part did not meet specifications does not mean it is "defective." When asked how many parts are currently used in GM cars that don't meet company specifications, Barra said she did not have the exact number. She did say that if parts do not meet "performance, reliability and safety" standards, they would be recalled. "That's not an acceptable answer, I think, for the American people," said Congressman Joe Barton. "We're not telling you the specifications to set." Who signed off on the faulty ignition switch: Barra danced around questions about the engineers who approved the faulty switches, despite the fact that they didn't meet the company's specifications. When asked if anyone at GM has asked these engineers, who still work for the company, about the decision making process, she said that is part of the company's current investigation. No one at GM has lost their job over the faulty part, she said. 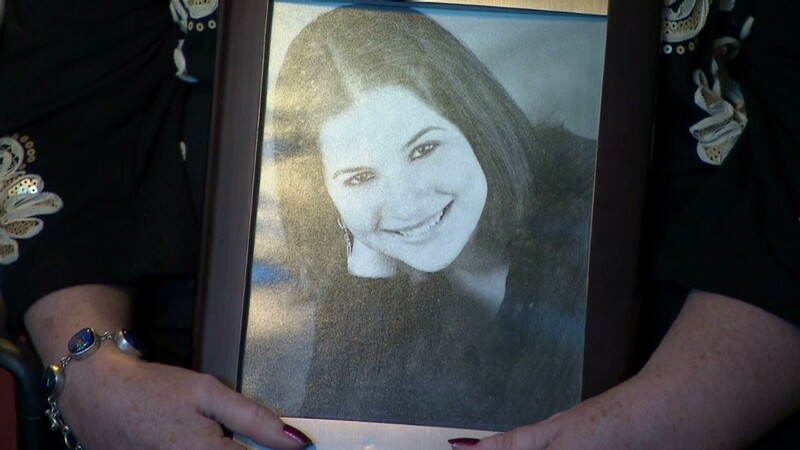 Legal liability: Barra said GM has both legal and moral obligations to the families of victims, but did not specify what those will be. When GM went through bankruptcy in 2009, it became shielded from having to pay accident victims for any crash that happened before the bankruptcy. She did say on Tuesday that GM has hired attorney Kenneth Feinberg, known for handling high-profile victim compensation cases such as 9/11 and the BP oil spill, as a consultant. Earlier Tuesday, family members of people who were killed in some of the recalled cars held a press conference on Capitol Hill calling for GM to take the cars off the roads until it can make the fixes. GM expects to start repairing the ignition switch next week, and has said it is safe for people to drive them until then, as long as they don't have any other keys on their key ring. 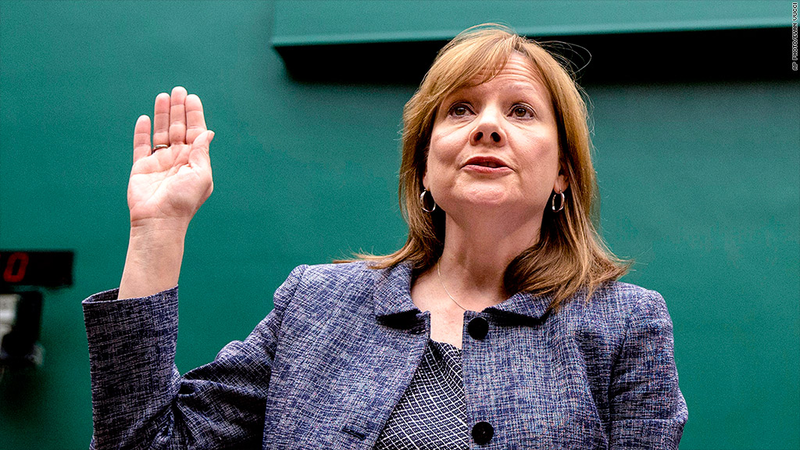 Barra's testimony came the day after GM announced yet another recall of 1.3 million U.S. cars to fix problems with the power steering, some of which were also covered by the ignition switch recall. GM has recalled nearly 7 million vehicles so far this year.